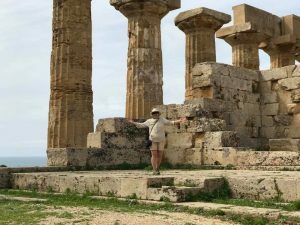 Whether you’d like to fly to the sun and sail the sites of the Mediterranean Sea , or voyage in luxury into Prehistoric Orkney and walk into life 5,000 years ago ; maybe a land-based tour of the stunning island of ancient Sicily appeals, or why not come to Ancient Pompeii with me. Then come and join me on these fantastic holidays of a lifetime. If you’re hesitating, be assured of excellent service, care and knowledge from me – here’s my certificate of excellence from Saga for my recent year’s service. I have managed to arrange for a possible Muddy Archaeologist cruise this summer. The gorgeous ‘Aegean Odyssey’ is being chartered out for the next three years. If you would like to join me for a final Farewell Cruise for the Aegean Odyssey, please let me know URGENTLY. 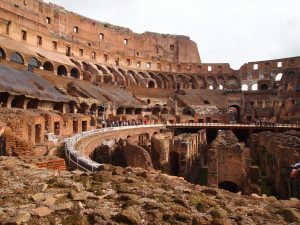 The cruise will begin on 26th August 2019.
and a longer version with two wonderful nights in the Eternal City. I know it’s short notice. But the cruises are great value. I know of no other ship where the excursions are so well organised, the atmosphere so friendly, the value so wonderful (all excursions, flights, hotels and drinks with meals, tips, etc. are included). You will benefit from all the comfort, public lectures and excursions of the regular guests on board, but AT NO EXTRA COST you can be part of this exclusive group with the Muddy Archaeologist! We need ten people minimum to have a Muddy Archaeologist Group. Let’s get out there and enjoy the Mediterranean’s history, heritage, sunshine, landscapes and seascapes, food, company … need I go on? 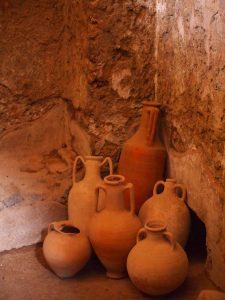 A private Muddy Archaeologist group provides you – at no extra cost – with extra briefings and lectures, useful hand-outs, my company on excursions and a great group fellowship with like-minded folk. Wouldn’t it be great to have one last fantastic cruise on this wonderful small ship (only 350 passengers). Let me know. We need to book as a group. And soon! We board the small ship 5-star 240-passenger Le Boreal in Bergen in Norway, exploring this wonderful town before sailing to the stunning fjords of Norway. We voyage on to explore Prehistoric Orkney & Shetland and sail on to the wild scenery of the Highlands and Rannoch Moor, in the company of the Muddy Archaeologist. Add an optional extra couple of days in Edinburgh & Glasgow to add even greater value to this adventure. Sail on the exclusively chartered five star 220 guest Le Boreal, with Smithsonian Journeys. Take a sneak peak of the great sites on this cruise in my blog posts: Bergen in Norway boasts Edvard Grieg’s beautifully located summer home, a wonderful all-wooden Stave Church and the colourful harbour where you can revel in everything from the fish market or the all-year Christmas shop! 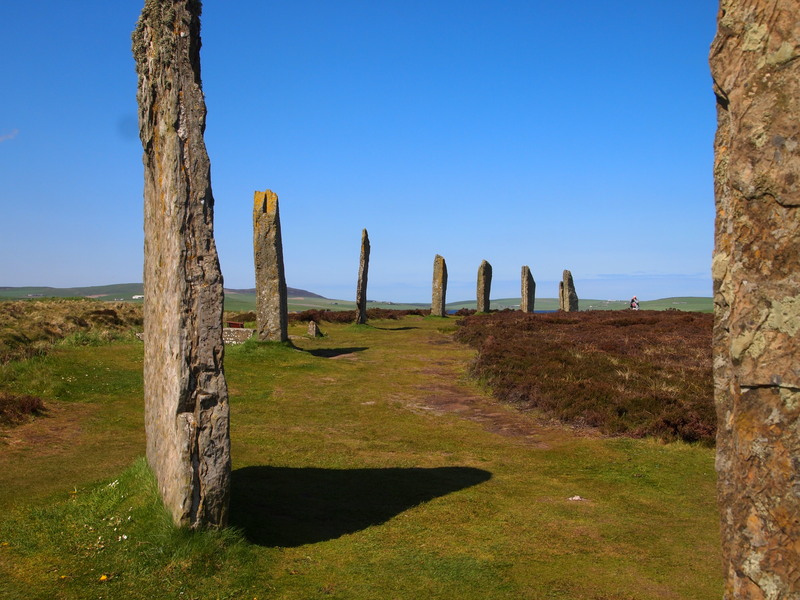 See what it’s like to step back in time at Jarlshof, the archaeological jewel of Shetland, and on Orkney at Skara Brae, the amazing Ring of Brodgar, and at the wonderful St Magnus Cathedral at Kirkwall. Discover just how much there is to see in Glasgow during the optional post cruise extension! 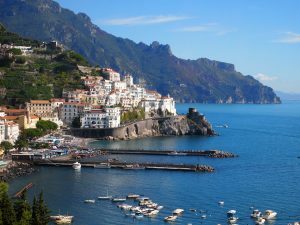 with Smithsonian Journeys including World Heritage Sites of Pompeii, Herculaneum & Paestum, plus Naples’ stunning Archaeological Museum and the beautiful Amalfi Coast and the isle of Capri, resort island since the Roman emperors. Taste local cuisine and explore Italian life today. 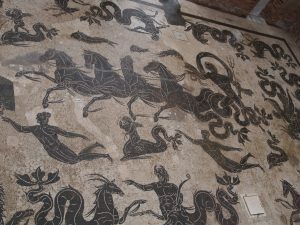 Travel with The Muddy Archaeologist and experience these ancient sites as Gillian share the archaeologists’ tips that bring these places alive with people, their aspirations, fears and daily life. 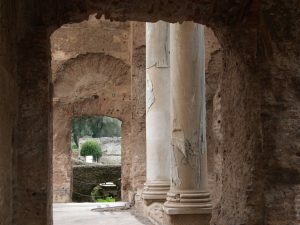 Take a sneak preview with my Blog on Pompeii. 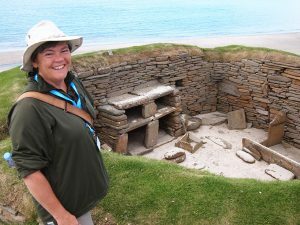 Experience the 5,000 year old sites of Orkney, the amazing prehistory on Shetland, with Gillian as your private lecturer who will accompany you to all the sites. Take an early look in my blog posts at the delights of Orkney’s 5,000 year old houses at Skara Brae and the Ring of Brodgar. You can even catch up with the excavations at the great and unique Neolithic temples at Ness of Brodgar – built by folk who lived at Skara Brae and worshipped at the Ring of Brodgar! And, of course, there are the thousands of years of history (and prehistory!) at Jarlshof on Shetland to enjoy.